Nico Rosberg won a crash-riddled Monaco Grand Prix beating team-mate Lewis Hamilton, who came under intense pressure in the final few laps of the race from Daniel Ricciardo as he struggled with dirt in his eye. After making it through the first corner without incident, Rosberg and Hamilton engaged in a battle for the lead until the final 14 laps when Hamilton’s pace dropped dramatically. 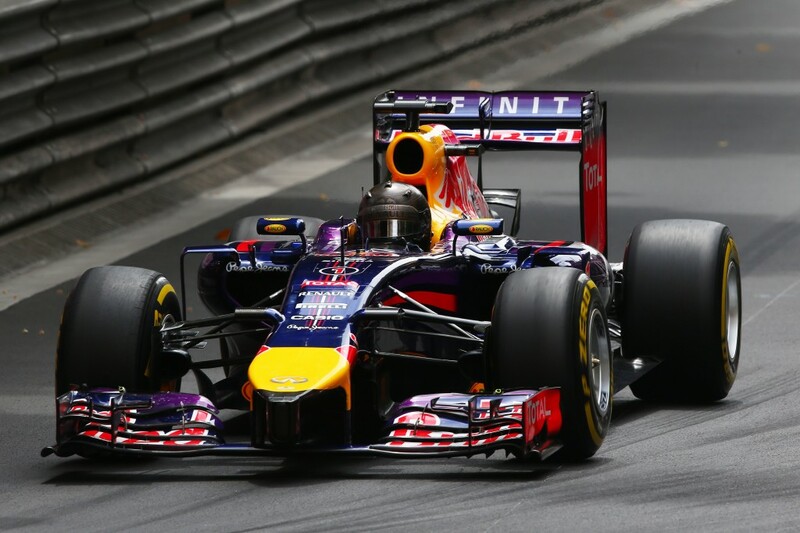 He explained over team radio that he was struggling with his vision and was unable to push, allowing Ricciardo in third place to close within 0.5s in the final few laps. 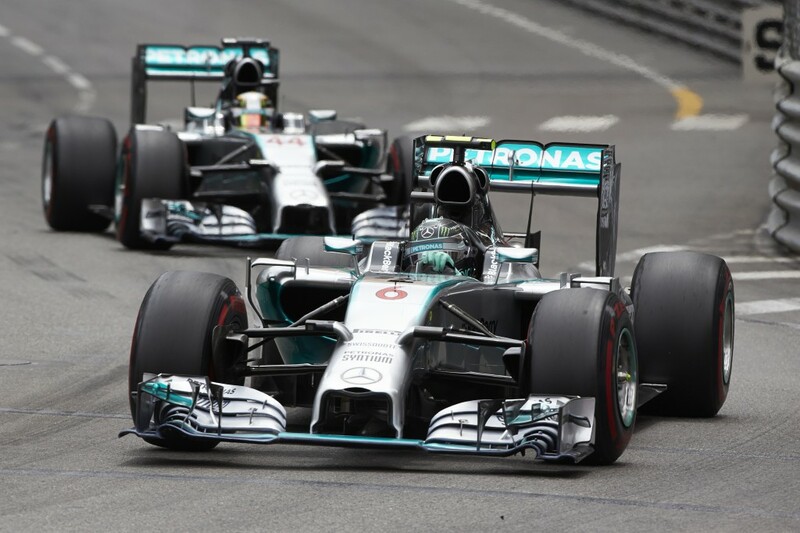 Rosberg had to deal with two safety car restarts, traffic and several yellow flag cautions, but still managed to deliver a faultless drive to take his second Monaco Grand Prix victory in as many years. Fernando Alonso finished fourth after an uneventful race, ahead of Nico Hulkenberg and the McLaren of Jenson Button, who is under investigation for a first lap clash involving Sergio Perez. With the help of a few retirements, Felipe Massa recovered to seventh place after starting 16th on the grid. Jules Bianchi finished eighth on the road, but had five seconds added to his race time for taking a five-second drive-through penalty during a safety car period. Even still, he scored Marussia’s first ever points in Formula One with a ninth place finish behind Romain Grosjean and ahead of Kevin Magnussen. After taking pole position under controversial circumstances on Saturday, Rosberg executed a perfect start to the race to lead Hamilton with ease into the first corner. Kimi Raikkonen made a lightning start from sixth to fourth and followed Sebastian Vettel into the first corner ahead of Ricciardo and Alonso. However, both Vettel and Raikkonen’s races were ruined by incidents out of their control, with Vettel losing power in his Red Bull on lap four. Raikkonen was looking in contention for a podium until the second safety car period, caused by Adrian Sutil crashing at the Nouvelle Chicane, which prompted most of the field to pit. When the lapped cars were allowed to unlap themselves under the safety car, Max Chilton appeared to clip Raikkonen and caused a puncture that forced the Ferrari to pit again. From that point Raikkonen was fighting back through the field and got as high eighth before attempting a move on Magnussen that ended with both cars in the barriers at the Loews Hairpin, resulting in a third pit stop and an eventual 12th place finish. Hamilton stuck close to Rosberg after the pit stops and it looked as though a possible opportunity could open up when the lead Mercedes was told to save fuel on lap 44. After the race Rosberg said the situation had become critical, but still Hamilton did not have the pace advantage to challenge for the lead. 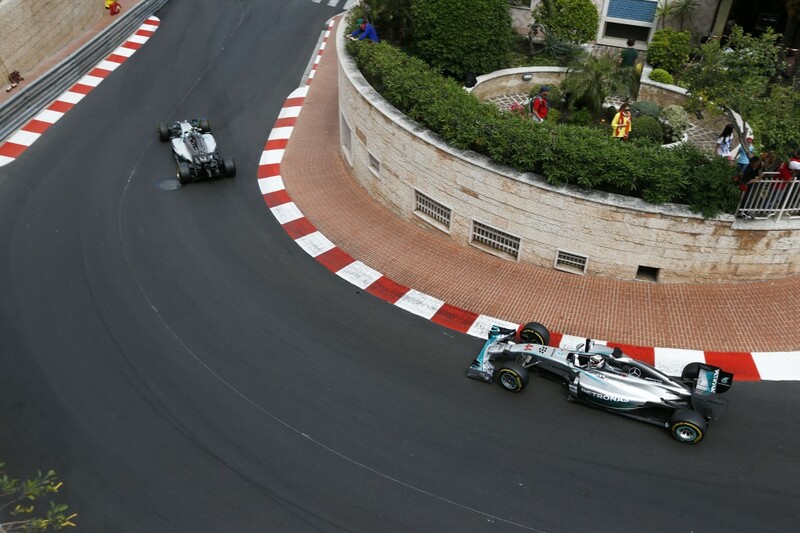 By lap 54 normal service was resumed for Rosberg and then came Hamilton’s problem with his eye. “I was driving with one eye, which was impossible to do,” he said. “During the low-speed corners I opened my visor a bit to try to clear it out but it just made it worse.” It dropped him a long way off the pace and into the clutches of Ricciardo, who was visibly pushing, but unable to create an opportunity to pass around the tight and twisty circuit. A charging Nico Hulkenberg made his supersofts work in the middle of the race, audaciously passing Magnussen through Portier and then inheriting fifth after Jean-Eric Vergne served a drive-through penalty for an unsafe release which nearly saw him come to blows with Magnussen in the pit lane. 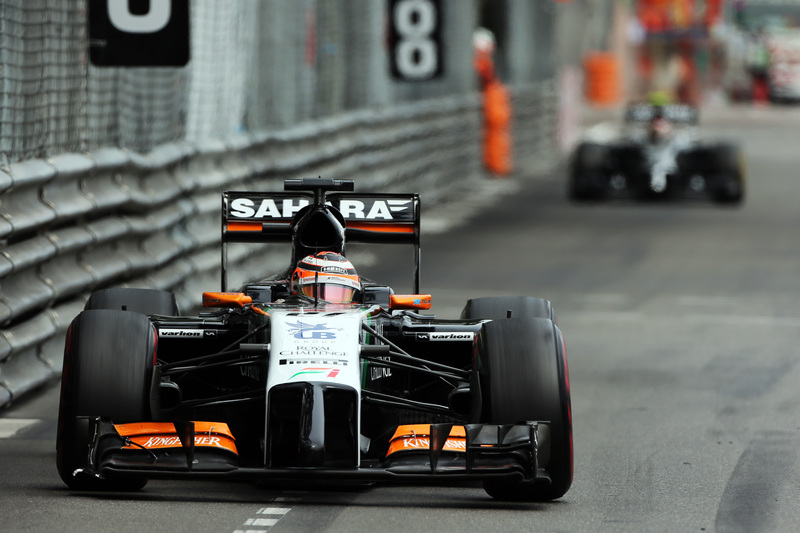 Hulkenberg’s tyres were shot later on and his gripless Force India soon brought the McLarens and Raikkonen into the equation. Raikkonen’s race took a further blow late on when he went for a move down the inside of Magnussen through the inside of the Hairpin, but he was unable to slow down in time and put both cars in the wall, though both were able to recover to the pit lane. 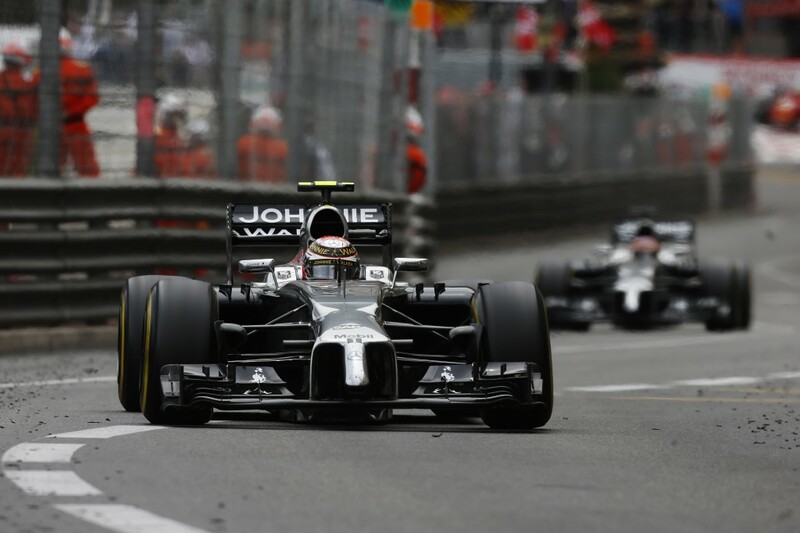 Esteban Gutierrez then retired when in a promising position in the top 10 after clipping the wall on the entry to Rascasse, damaging his rear tyre and almost bringing out another safety car.